rnbjunkieofficial.com: Interview: Glenn Jones Discuss Regina Belle Duet, Upcoming Album, “Love By Design” Tour & More! 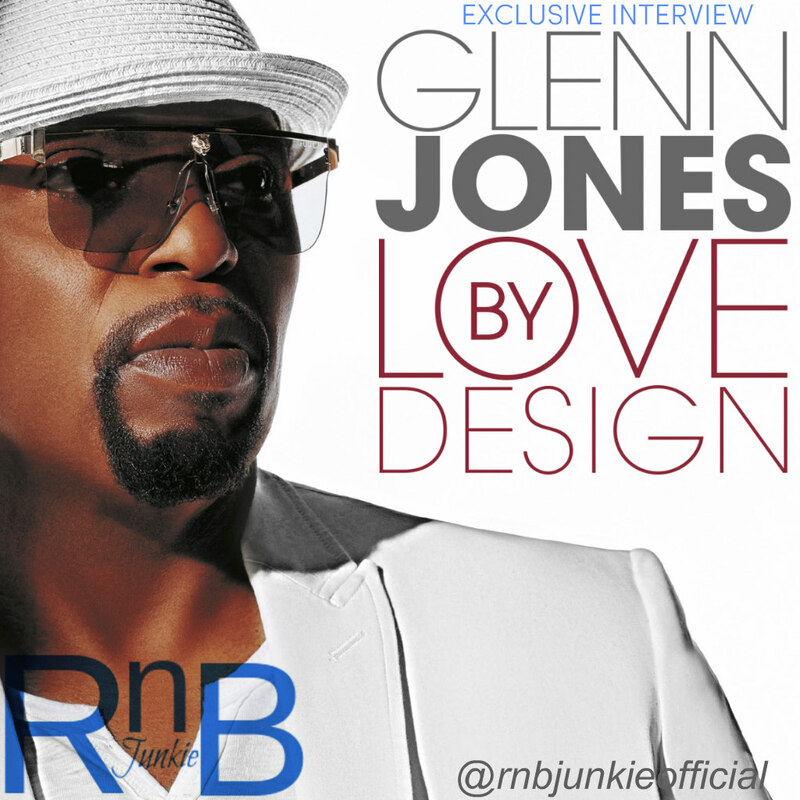 Interview: Glenn Jones Discuss Regina Belle Duet, Upcoming Album, “Love By Design” Tour & More! TERRANCE: Your new single, “Love By Design” which features Regina Belle is out now. Give me some background on the song and how it came together. GLENN JONES: “Love By Design” is a song that was written by a friend of mine, his name is James Day. He’s a great writer and has been in the business for quite a while. He sent me this song and I loved it and I immediately thought of Regina Belle and I called her. I’ve known Regina for many years and I worked with her brother Bernard Belle who used to work with Teddy Riley. I sent the song to her and she loved it and so we met, had lunch and talked and we decided to do the song together. We booked some studio time, cut it and it just happened. I love Regina’s performance on it for her tone and the scatting in a jazzy kind of way that she sings through the melodies in the song. It’s a great track, so I’m excited about it and it is the first single release from the album that’s also titled Love By Design. It will be ready in the next few weeks and you can go to any of the digital music sites to download it like Amazon, CDBaby, iTunes, Spotify or any of those places and see for yourself. TERRANCE: What made you go with Love By Design for the project’s title? GLENN JONES: Well, down through my career most of my music has been of that content. It’s always been about love. Love between a man and a woman. Love for higher power. Love for humanity period and that’s what I like singing about. I like being in a positive mode and that’s always been easy for me to write about too. I made the transition from Gospel to R&B years ago when I met Norman Connors, so that’s always been my forte and I’ve been consistent with that and that’s what you will hear when you buy the new Glenn Jones CD entitled, Love By Design. TERRANCE: Are there any other guest features on the album we can look forward to? 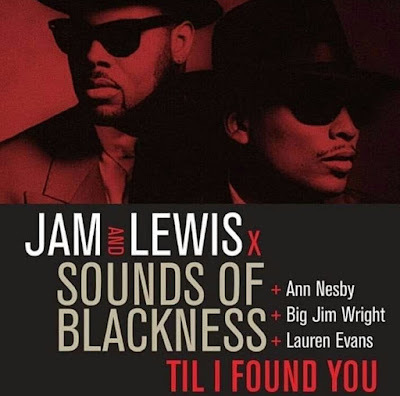 GLENN JONES: Another friend of mine Kim Waters is on there, we did a song called, “All In My Heart”. Nick Colionne is featured on another song and he’s a great jazz guitarist. My wife is singing a duet with me and her name is Genobia Jeter-Jones. Dave Hollister is singing background vocals on another one of the songs. I got my niece Y’Anna Crawley who was the 2009 Sunday’s Best winner on there croonin’ and killin’, so it’s just a great collaboration. TERRANCE: Did you approach this album any differently than you have previous efforts? GLENN JONES: Well, probably so because with this album I’m spending my own money (laughs). I just approached this from the point of view that I’m doing the kind of record I wanted to do. There’s nobody telling me what kind of project I should have. It’s taken a year and a half or more to finish it, but I’m just happy with the way it came out. TERRANCE: Reflecting back, what circumstances led you to get your first major record deal with RCA? GLENN JONES: Well, like I said I had been singing Gospel before that. I had a record deal with a record company called Savoy Records and I did two albums for them and Norman Connors heard my second album and he was getting ready to do another project and he had this song called, “Melancholy Fire” that he needed a male vocalist to do. He heard my Gospel music and loved what he heard and so I flew to D.C. to meet with him and talk about the project and next thing I knew I was on a flight going to LA to do the record with him and once I did that I started touring. “Melancholy Fire” finally came out as the second single from his Take It to the Limit album and when it came out, it hit the charts and started moving up the charts and so next thing I know I had a couple offers and RCA threw an offer at me and I decided to go with them and that’s how it started. TERRANCE: The industry has changed a great deal since your inception. What’s your take on it at the moment? GLENN JONES: I mean, there are positives and negatives. The positive side is that artists get to really be free creatively. On the negative side, you have to find ways and different resources to market the music to try to get a shot and bring some visibility to it. TERRANCE: Thus far what’s been the biggest highlight of your career? GLENN JONES: There are moments that I’ve enjoyed just admiring certain people that I never thought I would get a chance to work with, so probably when I worked with Dionne Warwick and Aretha Franklin. I did a song with Dionne called “Finder of Lost Loves” which Burt Bacharach and his wife Carole Bayer Sager wrote and that was the first song Dionne had done with Burt I think about in 11 years. They both wanted me to do the song. I was living in New York and they called my manager and asked if we could have a meeting and so next thing I know I’m on 57th Street going up to the Penthouse. Dionne was there and she was so nice and sweet and that was a great moment. We got a chance to perform the song on The Tonight Show with Johnny Carson. The song was the theme song for a TV show on ABC called Finder of Lost Loves. Then I started doing some things with Aretha. She started off by bringing me into Detroit with my band to perform for her birthday parties. She always had these big, extravagant birthday parties. From Lou Rawls to Nancy Wilson to whoever you could think of would be there, so I started doing that and I started doing shows with her and performing songs and duets with her. We played Radio City, we did Caesars Palace and I did a Grammys Legend show that paid tribute to her, Johnny Cash, Billy Joel and a bunch of other legendary artists. So those were the moments, it’s been good and I have no complaints. TERRANCE: Talk about the excitement around your upcoming Love By Design tour and what we can expect. GLENN JONES: Well, we’re getting geared up for that because it is an independent project, so there are a lot of avenues as you grow, at least for me because I’ve always been on a label and really just putting the marketing plan together for the record so we can be able to tour. We want to go out and tour behind a successful record, so we want to get some nice dates and ride it out. TERRANCE: Anything else you would like to add? GLENN JONES: I would just like to encourage everyone to go to the digital music sites and download the new single “Love By Design” by Glenn Jones & Regina Belle and look out for the new album in the next few weeks which is titled Love By Design. I have an Unsung program that’s going to be airing soon. I just want people to know that we’re still doing it so when you hear us coming your way, come out to the show and encourage a friend to come to the show.